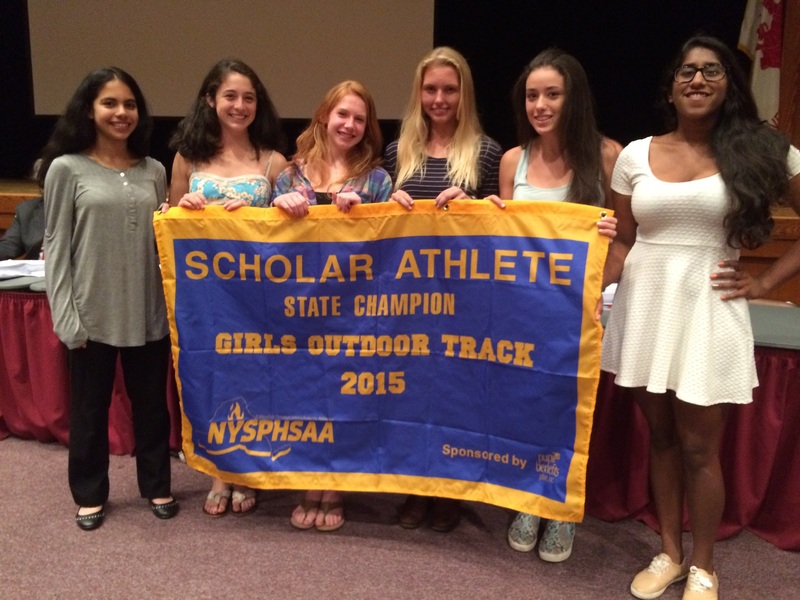 Girls Track and Field Recognized as New York State Scholar Champions! The Athletic Department and East Williston School District are proud to announce that the Girls Varsity Track and Field team has been recognized as the New York State Champions in the in the New York State Public High School Athletic Association Scholar-Athlete Recognition Program. 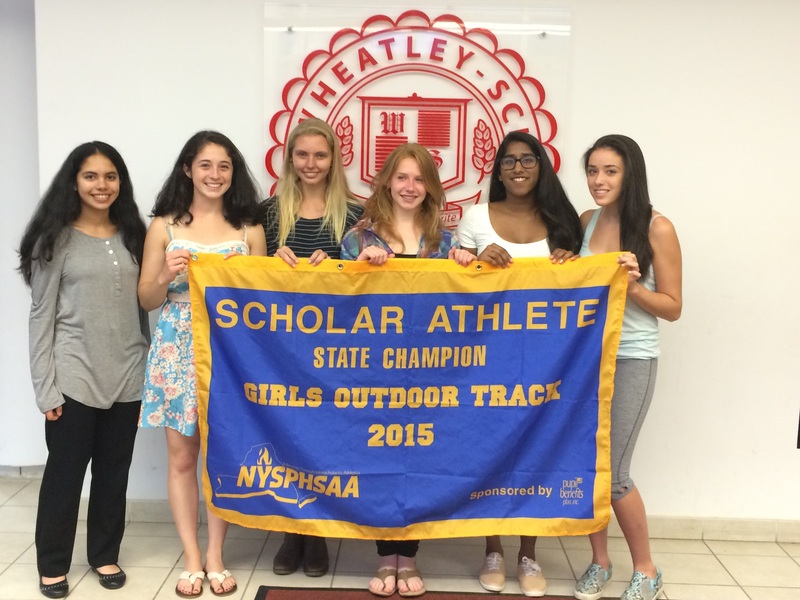 The Wheatley School’s Varsity Girls Track and Field team has been recognized by the New York State Public High School Athletic Association (NYSPHSAA) for academic excellence. The team achieved an average of 99.18, which was the highest girl’s track and field team academic average in New York State. For this significant achievement the team has been declared New York State Champions for the Scholar Athlete Team Recognition Award competition. This is the fifth time the Girls track and Field team has been awarded the prestigious New York State Scholar Athlete team Champions. ← Yet More Prom Photos of the Class of 2015!